Pich (Peach) Sophea began her career journey as a young girl wandering dangerous city streets selling sugarcane and snails to help support her family. There are many young boys and girls in Cambodia doing what she did but not very many of them are lucky and become a successful star with a promised future in just a short period of time like Pich Sophea. 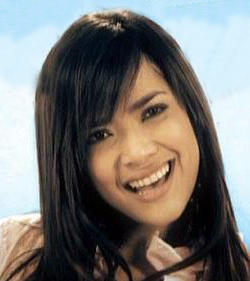 Please do not be confused Pich Sophea with Meas Sok Sophea who is also a rising young star. Her father is Ou Sarin and mother is Nov Sarun. She is the youngest child among other 3 sisters. Pich Sophea told Popular (Prochea Prey) magazine that she went to Pras Sisovath College and had to quit school when she was in 11th grade because of her family’s poverty. She had no goal to become a singer or star at the time when she was selling sugarcane and snails; she only wanted to survive each day to support her parents and family. Obviously, selling sugarcane and snails did not give her enough financial strength to support her family and that when she decided to try something new.